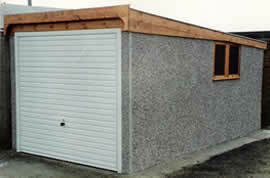 Our concrete garages come in various sizes to suit your needs. They are also customisable so if you want extra windows, insulation, side doors or a specific garage door you’ve got plenty to choose. Contact us if you have any other requirements and we’ll always do our best to help. 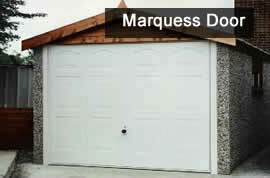 All single garages include 7″ wide up/over garage door plus two 2 pane windows. 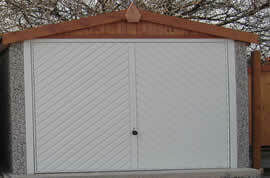 prices include delivery, installation and VAT. 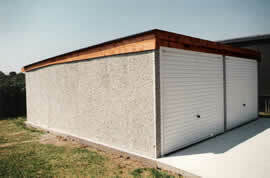 All double garages include two 7′ wide up/over garage door plus two 2 pane windows. 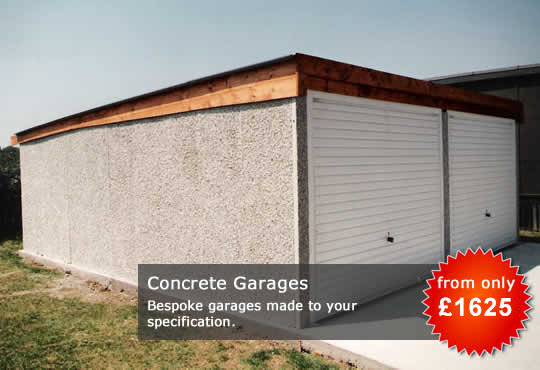 Our optional extras available mean you can customise your build and have your new garage exactly how you want it. 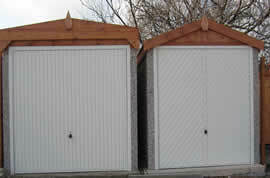 If there’s something not listed that you want then contact us to and we’ll see what we can do.